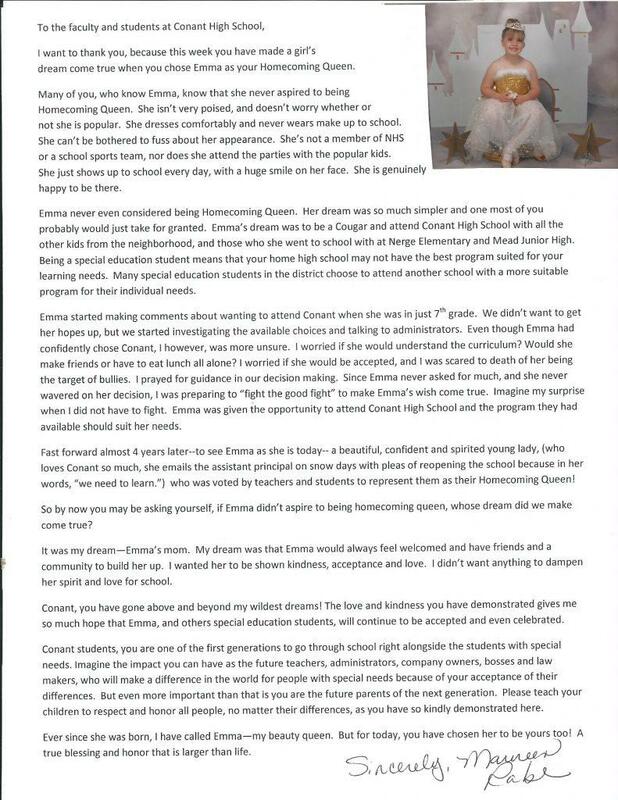 Senior Emma Rabe is crowned Conant High School’s Homecoming Queen. 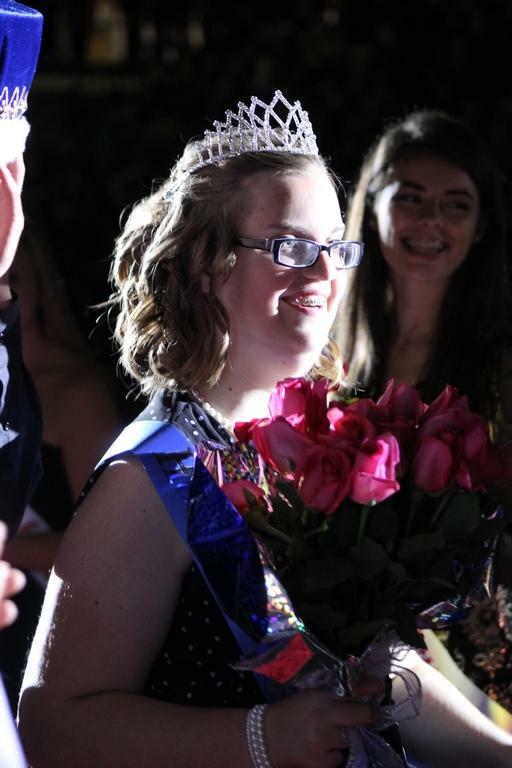 Senior Emma Rabe, who is developmentally delayed and has global apraxia, was crowned Homecoming Queen during Monday’s coronation assembly kicking off Homecoming Week. Her mother’s response, in this touching letter to the school published with her permission, speaks volumes about how today’s high schoolers can shape a new attitude towards people with special needs.